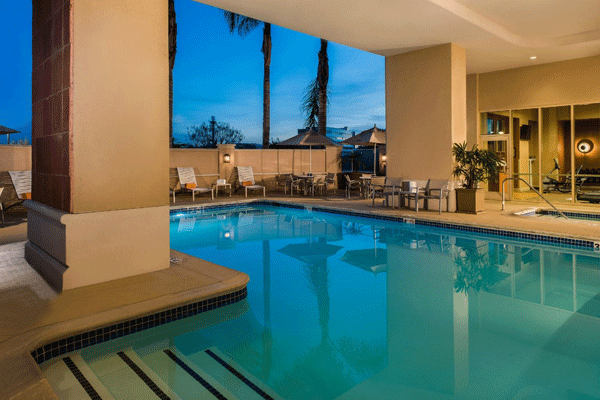 Travel to see the San Francisco 49ers this season with us! 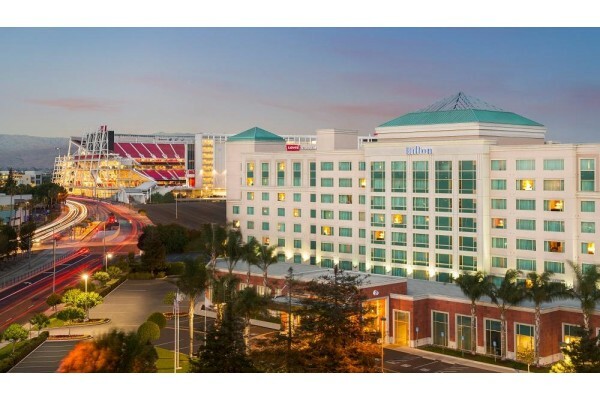 Buy 49ers tickets or stay in Santa Clara as part of a 49ers travel package including 49ers game tickets of your choice, hotel lodging close to Levi's Stadium, plus access to our pre-game tailgate party including food, drinks, entertainment, and more! Join us at Levi's Stadium! 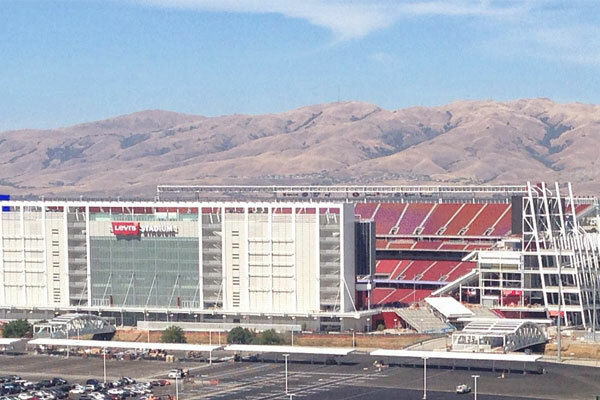 Levi's Stadium is now on every NFL's fan bucket list trip to visit. Located about 45 miles from downtown San Francisco, the stadium is located in the city of Santa Clara, California. Join us at home at Levi's Stadium or on the road to watch the 49ers play in great NFL games throughout the season. 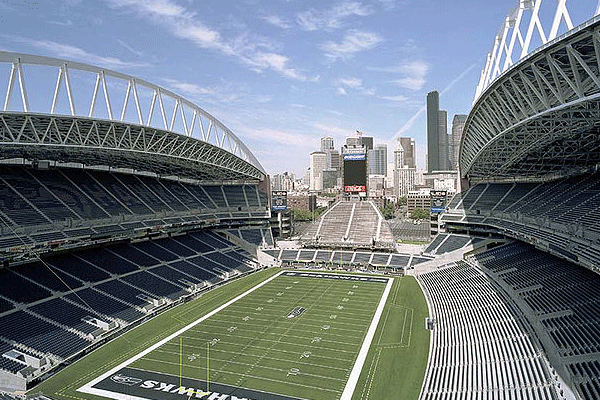 Travel to Santa Clara to see Seahawks vs. 49ers in this NFC West Divisional matchup on Monday Night Football! It's a battle for the NFC West when the 49ers face the Seahawks in the Emerald City. Take part in a stress-free gameday experience with a shuttle to the game, pre-game party, and tickets for this divisional matchup. 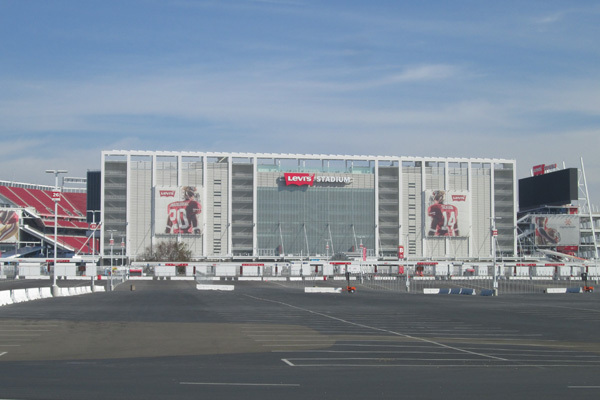 Where is Levi's Stadium located? Opened on July 17, 2014 Levi’s Stadium has been the new home of the San Francisco 49ers in Santa Clara, California. 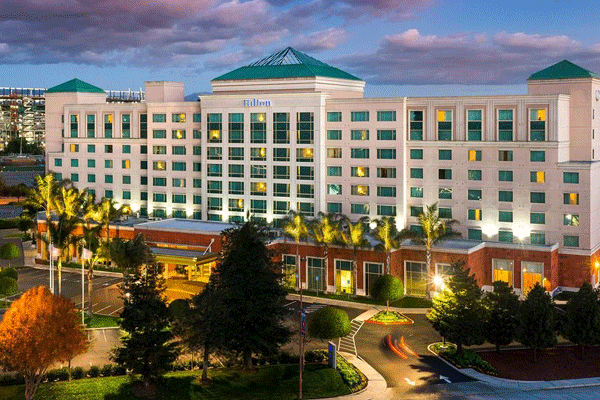 Santa Clara is located 45 miles inland from downtown San Francisco. How much did it cost to build Levi's Stadium? 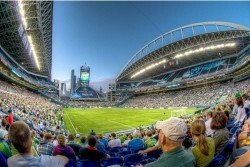 The $1.3 billion dollar stadium took over two years to build and offers seating for over 68,000 fans. 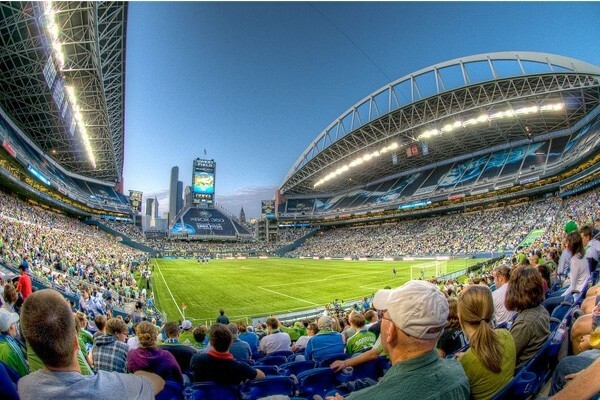 The stadium is an open air venue which allows visitors to enjoy the warm and pleasant climate of Santa Clara. 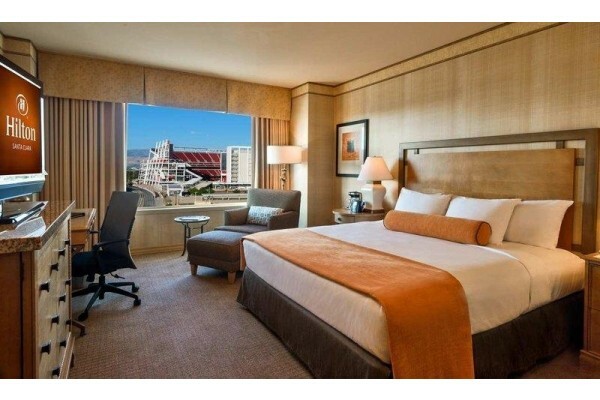 Taking part in a 49ers ticket and hotel package is an exciting and hassle free way to enjoy a 49ers game and stay close to Levi's Stadium. 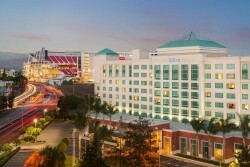 Start off the weekend the night before the game by checking into your hotel located walking distance to Levi's stadium. Game day will begin with an all-you-can-eat buffet at our tailgate party, located just across the street from the stadium. Game time! 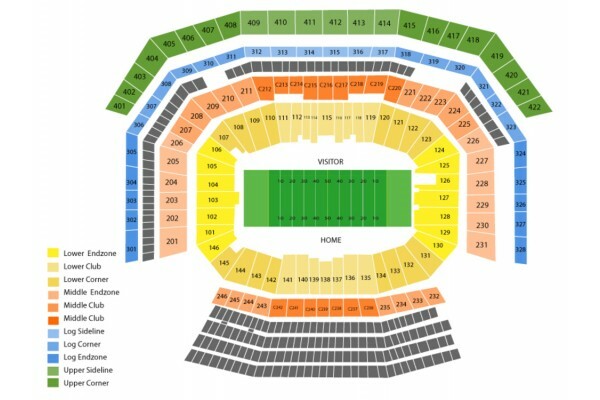 You will be sitting in great seats of your choice with your 49ers game ticket! After the game, walk back to the hotel or enjoy the local area entertainment and restaurant district. 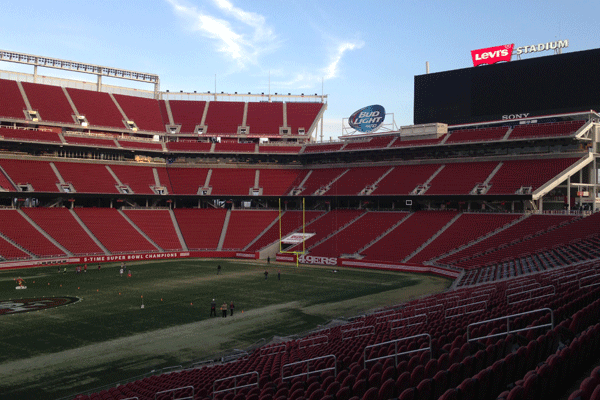 The day after the game, take part in a Levi's Stadium Tour before checkout time at the hotel. After the tour, we will say goodbye and leave you to enjoy the memories of an incredible football weekend with the San Francisco 49ers, the fans, and the stadium. 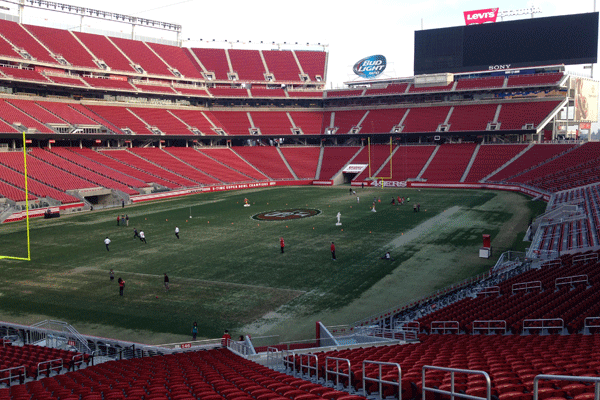 Included in every 49ers travel package is a guided tour of Levi's Stadium. 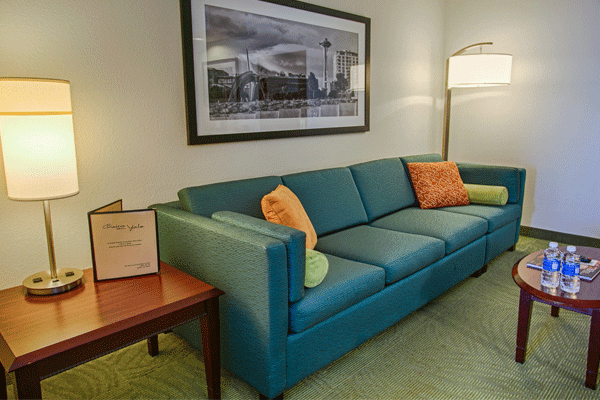 The stadium offers numerous amenities including a 49ers fan museum, a 49ers team store, and gourmet kitchens. The fan museum is one of the more unique features of the new stadium and holds countless pieces of 49ers history. One of the rooms in the museum allows visitors to walk amongst 49ers greats who are posed in signature moments of their career using life-size statues. Another section of the museum also includes interactive activities where fans can make the play by play call during iconic 49ers game moments or put their skills to the test at passing and kicking simulators. 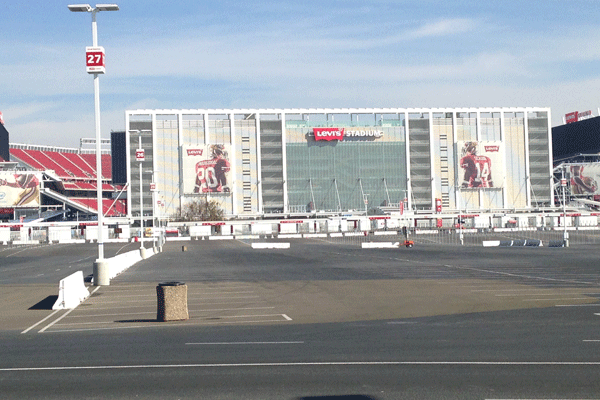 While the 49ers will be the stadium’s main tenant a multitude of other big events will be hosted by Levi’s stadium. 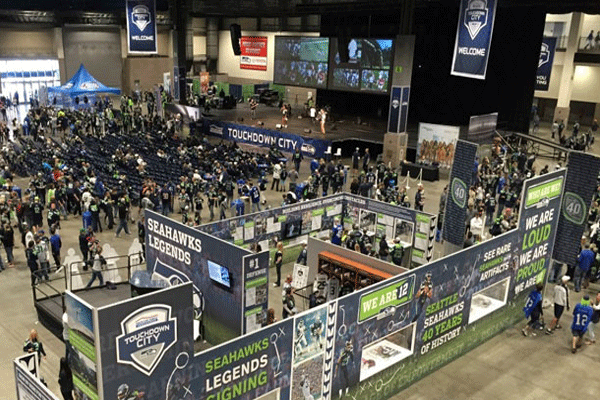 Some of the events held at the stadium include the 2016 Super Bowl, otherwise known as Super Bowl 50, the NHL Stadium Series, and MLS Soccer matches.